I thought I had already posted Concordia's '06 football schedule... When I looked back through my archives, I hadn't. So here it is... Game 1 has already been played. 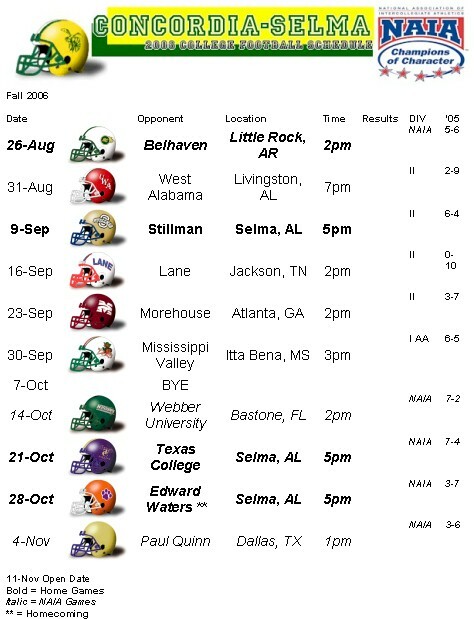 We beat Belhaven 27-25 in OT last Saturday at Memorial Stadium.